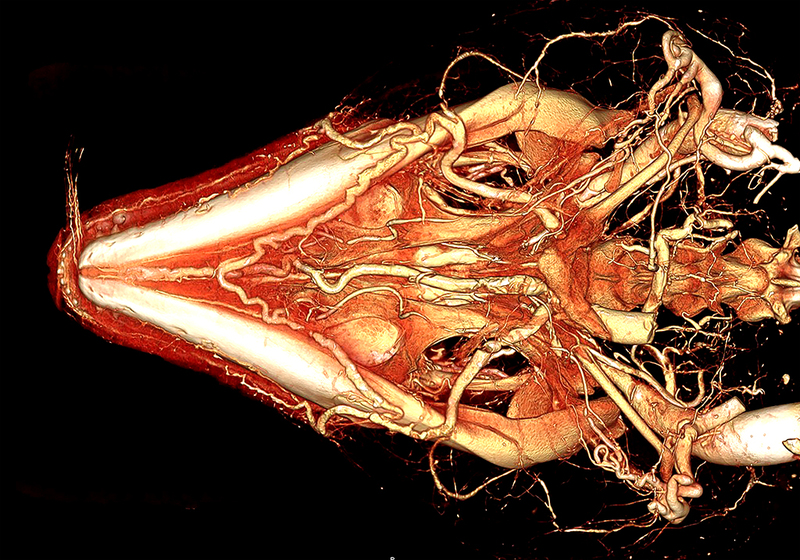 Argentine black and white tegu BriteVu arteriovenogram of the head. Courtesy of Dr Colleen Farmer, Department of Biology, University of Utah. This is a ventral (underside) view of the skull showing all of the blood vessels. Notice the rich blood supply around the powerful lower jaws (mandibles). The tongue can be seen coursing out of the tip of the snout (and aimed toward the top of the picture). BriteVu was used in the perfusion process. These are 100 µm CT scan slices.